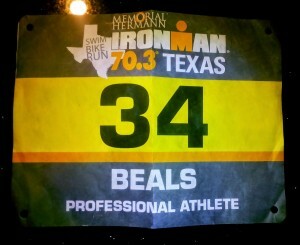 There were many question marks going into my professional racing debut at IRONMAN 70.3 Texas. 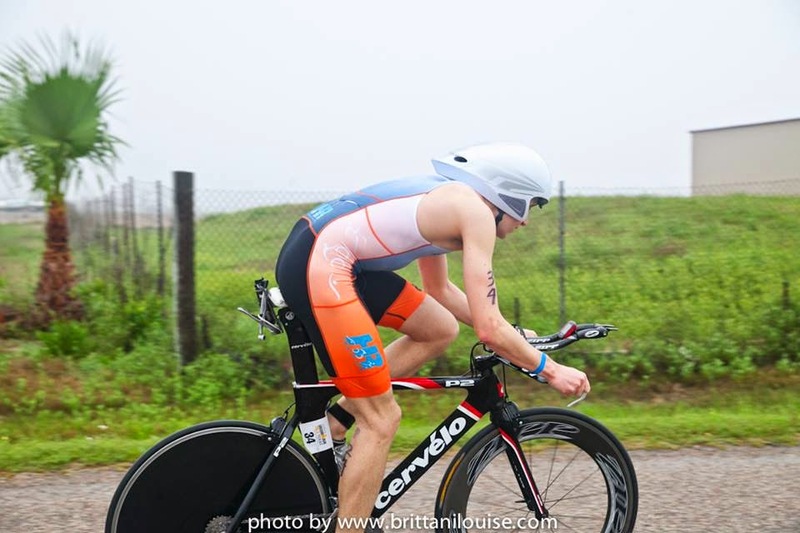 Besides my total inexperience with pro racing, it was also my first race of the season, my first triathlon outside my home province of Ontario, and months earlier than the start of any prior season. 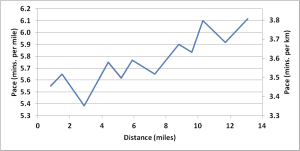 All indications were that I was fitter than ever, but training entirely alone provided no real frame of reference. And then there was the never-ending winter. I began to become apprehensive when, by mid-March, winter still held an iron grip on Ontario. Relentless snowstorms and sub-zero temperatures forced me to cycle exclusively on the CompuTrainer from November until the week of the race—four solid months! After a series of running mishaps, I was driven indoors on the “dreadmill”. And open water swimming? Not a stroke until race day. How would my indoor training translate outside? How would I cope with travel? Did I really belong in the pro ranks? 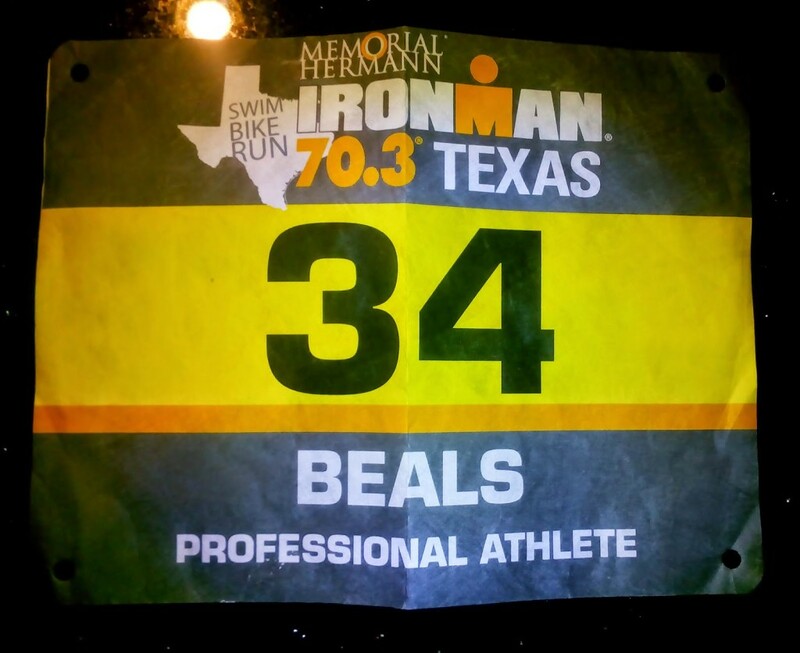 These questions filled my head as I lined up with an international field of over 30 professionals, including multiple 70.3 and Ironman winners. Although the race did not play out as expected, I was thrilled to claw my way to 5th place (top Canadian) in a personal best time of 3:50:41 (full results). Read on for details. Thankfully, thunderstorms in the forecast never materialized, but high winds whipped the water into a nasty chop. I was cautiously optimistic about my swimming, as it has been progressing well since Coach Tim Floyd of Magnolia Masters took the reins in January. But the rough conditions coupled with my limited open water skillset accentuated some weaknesses in my swimming that even my Nineteen Rogue could not hide. I immediately lost contact with the front pack. A few others slipped away as I struggled to orient myself and find my rhythm. I ended up at the front of a slower pack, exiting the water around the middle of the field nearly four minutes down on the leaders. My work was cut out for me. This video came to mind during the swim. It sums up my first experience with pro triathlon swimming. Of all my uncertainties leading into this race, my cycling was probably the greatest. It was a leap of faith to prepare exclusively on the CompuTrainer, with the exception of a handful of easy rides the week of the race. My power numbers had improved so significantly since 2013 that I even doubted the accuracy of my power meter. Averaging only 7 hours a week on the trainer, my FTP crested 5 watts per kilogram and I was confident that I could hold at least 300 watts for the race. 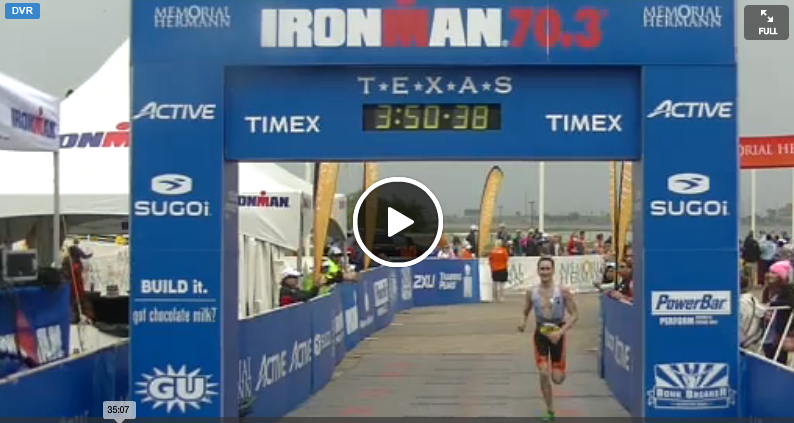 Out of transition, fellow Canadian Lionel Sanders immediately rocketed past me and several others. As I watched him recede up the road, I had to make a decision: let him go and race conservatively or take a risk and make a move. I went for it and bridged up to Lionel, passing a few athletes. I stayed behind him, feeling very comfortable as we moved up through the field with a brisk tailwind. Lionel was poised to race for the podium, but later had the misfortune of two flat tires. After the halfway point, a vicious cross-headwind tore into the field. I moved to the front and drove the pace into the wind on the exposed course. One advantage of riding the trainer so much was that I became very disciplined about holding an aggressive aero position. 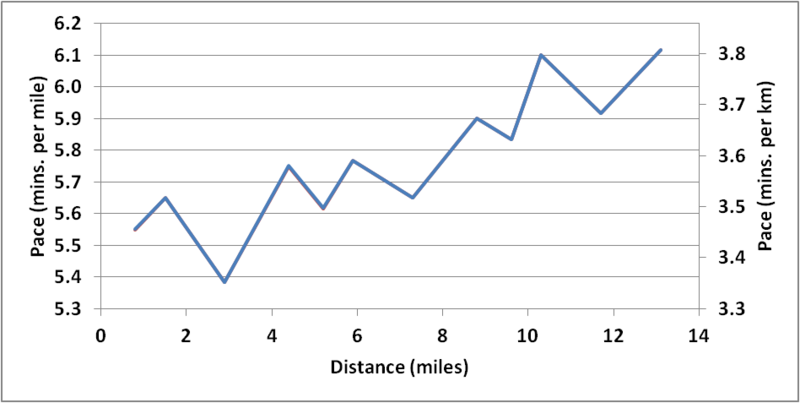 In fact, with the exception of some turns into transition, I came out of aero position only once at the turnaround. This element of bike fitness, which cannot be measured with a power meter, is often overlooked. Throughout the ride, my power numbers were lower than expected. There seemed to be a disconnect with perceived exertion. I later realized that I had forgotten to zero my power meter and I suspect that it was under-reading. I am somewhat skeptical that 283W AP (288W NP; Strava file) netted me one of the fastest bike splits (2:04:43). I find this fascinating, since at least one study has shown that inaccurate pacing feedback can boost performance. Not long ago, my cycling was a huge weakness that I have been systematically attacking. 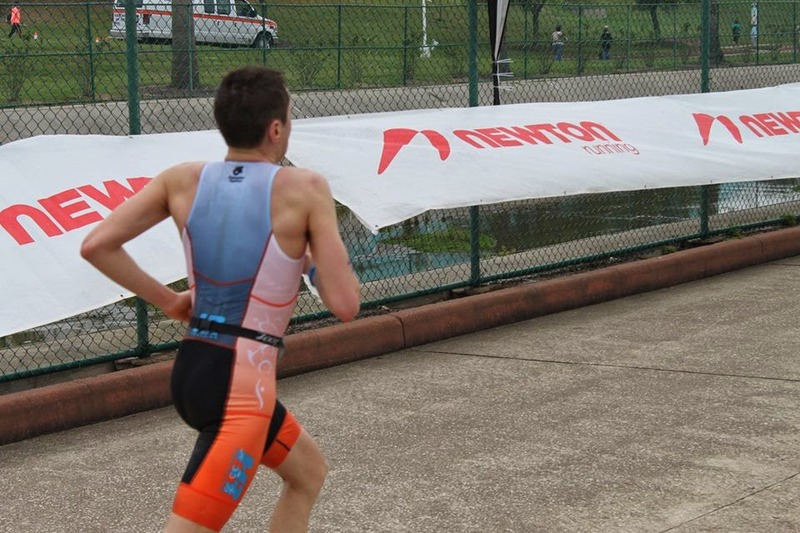 I continued to move up through the field, entering transition in 6th position. Bike nutrition: 2 bottles homebrew sports drink (~240 Cal), 1 gel. I fumbled a hand-off at the final aid station and went half an hour without fluid or fuel. Rookie mistake to not carry more nutrition. My race setup. I did not regret my decision to run a disc wheel and 82 mm deep front wheel in the windy conditions, even with my mediocre bike handling skills and relatively light weight. 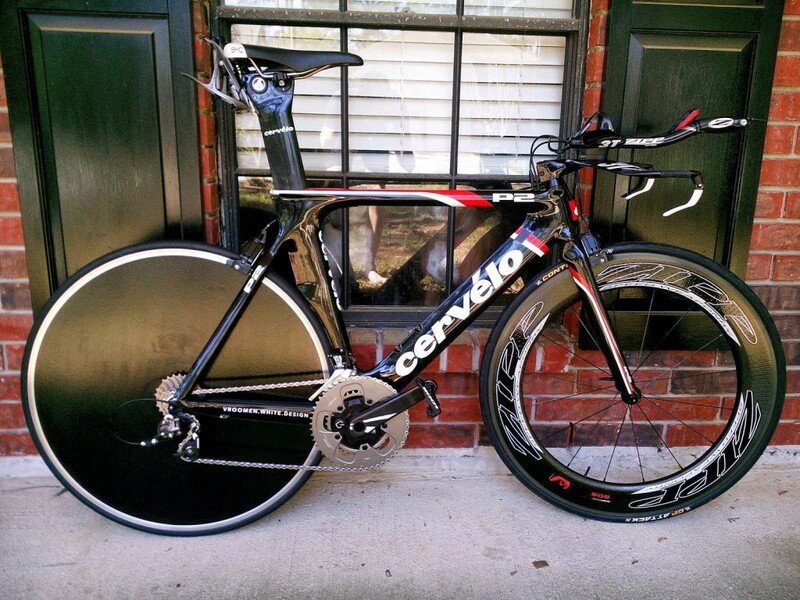 In my opinion, the fear of disc wheels in all but the highest winds is mostly unfounded and I encourage everyone to experiment. And yes, that’s a compact crankset! Out on the run, the hard ride and lack of nutrition took a toll. When I finally hit an aid station, a gel tasted like Nectar of the Gods. As usual, I did not wear a watch, preferring to pace by feel and respond to the competition. I was shooting for a sub-1:14 run split, but that was really just a guesstimate based on treadmill workouts. I felt like I was crawling and was later surprised to discover that I was on pace until about the halfway point. The countless sharp turns on the three-lap course hammered me and my pace gradually slowed. More importantly, I had moved into 5th (in the money!) and was holding my position relative to the field. I fed off the energy of the crowd on the spectator-friendly course to hold it together, alternately ignoring, pleading and bargaining with my protesting body. After a small eternity, I rounded a corner and the glorious finish line was before me. I couldn’t have asked for a better pro debut, but I’m even more excited by the obvious opportunities for improvement. My Swim Coach Tim Floyd of Magnolia Masters. He is not only reinventing my swimming, but also positively influencing many other aspects of my training and racing. I am currently in Texas working with him to erase my swim weakness. Coach Tim has worked magic with swimmers of all levels. Giles Atkinson of Keystone Communications for making the trip possible. My homestay hosts Bryan Alsdorf, Jennifer Schkade and Gladys Horan Floyd, who have epitomized southern hospitality. Comments or questions? Fire away on my Facebook page, Twitter or in the comments below.